Now more than ever, we’re increasingly aware of the need to reduce, reuse and recycle, especially where plastic is concerned. The ‘Blue Planet effect’ reminded us just how important it is to consider the impact of what we buy, how long it can be used for, and what happens to it once we’re done with it. In a perfect world, we’d all be living a zero-waste lifestyle but, for most of us, the requirements of day-to-day life makes that an unattainable ideal. Our buyers have sought out lots of products with eco credentials that look lovely and do their job without compromise, so next time you come to replace kitchen essentials, you’ll find lots of plastic-free options. Take chopping boards, for example: the attractive Epicurean Cutting Boards from Victorinox are made from wood fibre, a sturdy material that’s been used in commercial kitchens for decades, and just so happens to be eco-friendly, too. We know that plastic has its place, and there are times when no other material is quite as effective. But choosing reusable plastics rather than single-use options helps reduce waste; and, if you do choose to replace your faithful old plastic containers like-for-like, you can be sure we’ve chosen fantastic quality stuff that will far outlast cheaper ‘throwaway’ versions. When your plastic washing-up brush is past its best, give the Natural Fibre Dish Brush a go. With a replaceable FSC-certified beechwood brush head that slots onto a silicone-covered stainless steel handle, it’s a no-effort way to do your bit for the environment, one dish brush at a time. While we know we can’t get rid of waste completely, we can all do our bit to help recycle it. We’re used to putting out the recycling for collection, but there are plenty of things you can do to make the process easier. Our Household Waste Recycling Bags are a neat way to sort your recycling as you go, and our Slimline Recycling Bin fits the bill for something a bit more sturdy. Home-made lunches are much tastier (and usually cheaper!) than anything grabbed off a shop shelf, but don’t just grab the closest roll of cling film or foil. Swapping single-use plastic bags for our eco-friendly, reusable alternatives just makes good sense. 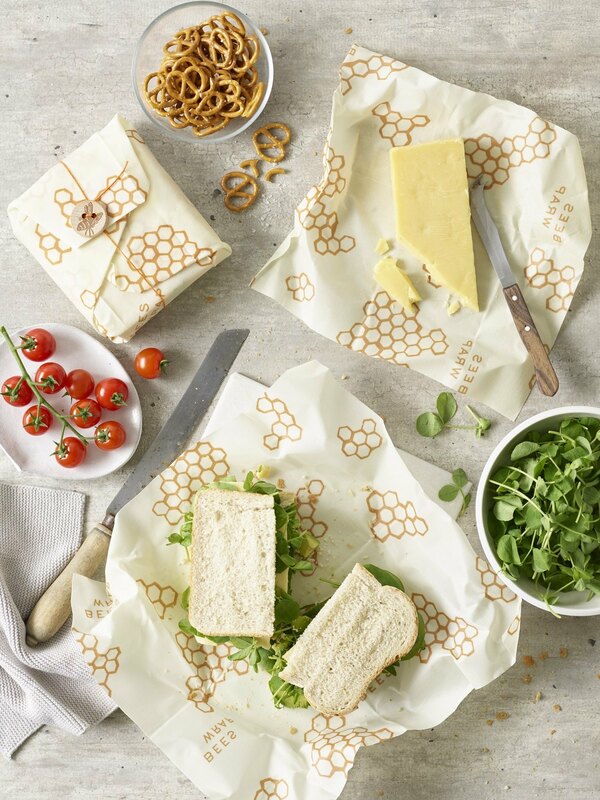 Try brown paper bags for your snacks and sarnies, or reusable Bee’s Wraps for buns, tortilla wraps, cheese, fruit and veg. Made of organic cotton and impregnated with beeswax, organic jojoba oil and tree resin, they can be used again and again, and then composted at the end of their life. Packed lunches and picnics; snacks and nibbles; marinating meat and fish; freezing; microwaving; sous vide cooking or boiling in the bag on the hob… The incredibly versatile Stasher Food Storage Pouches can do so much more than a single-use food bag, are completely airtight, watertight and leakproof, and are 100% recyclable when they come to the end of their long use. Can’t function without your caffeine fix? Sadly, billions of use-once-and-throw-away takeaway cups end up in landfill every year. 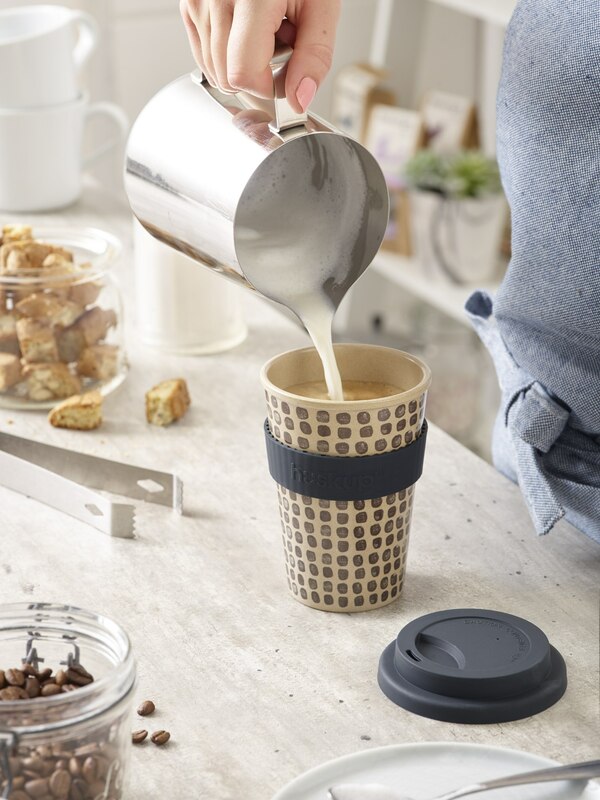 Designed to make your daily brew more planet-friendly, the long-lasting HuskUp Reusable Eco Coffee Cup is made from rice husk – a natural and sustainable by-product of rice milling – and has a recyclable silicone lid and sleeve so it’s good on the go or for filling up at your local coffee shop. And when this reusable coffee cup does eventually reach the end of its life, it can be put on your compost heap where it will simply biodegrade over time. Make yours to go? Plastic coffee capsules are convenient but difficult to recycle; compatible with all Nespresso coffee machines, the Eden Project Biodegradable Coffee Capsules are fully biodegradable, and once you’ve enjoyed the organic coffee, can even be chucked onto your garden compost heap. A really simple way to cut the amount of plastic you use is to stop buying single-use plastic drinking straws that spend hundreds of years in landfill. The reusable Stainless Steel Straws from Joie are a smarter way to sip and come with a brush for a hygienic clean, but if you need straws for a children’s party, biodegradable paper straws are a more earth-friendly alternative to their plastic counterparts. When you’re out and about, it’s all too easy to grab a bottle of water off the supermarket shelf. In the UK we get through a staggering 35 million plastic bottles every year, many of which won’t end up being recycled. An easy way to reduce that number – and save yourself some money – is by carrying a reusable water bottle. 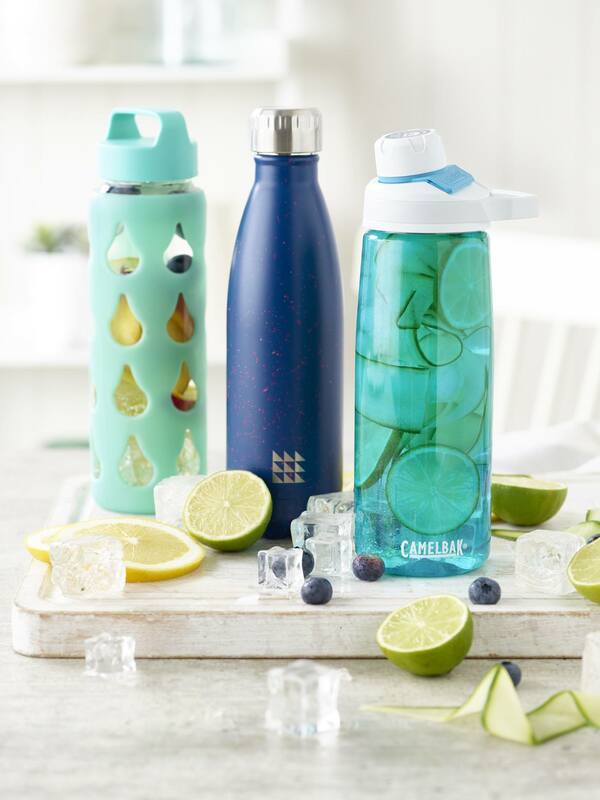 Whether you need a flavour-infusing bottle or a bottle that filters tap water while you’re on the go, we’ve got loads of refreshing, greener alternatives to buying bottled water. If you buy bottled water because you’re concerned about impurities in the stuff that comes out of the tap, try the ZeroWater Filter Jug: 5-stage filter technology removes virtually all impurities from your tap water (99.6% of dissolved solids) for the purest-tasting drink possible – a first for a domestic filter jug! Avoiding pre-packed-in-plastic vegetables is another way to play your part. Next time you do your big shop, pick your produce loose, weigh and take it home in the super-lightweight, Veggio Reusable Fruit & Veg Bags, then ensure first in is first out with our attractive vegetable bags. Bananas have their own natural packaging, but if you want to stop them ripening too quickly, keep them in a Banana Bag and they’ll stay just as they should for around a fortnight – twice their normal lifespan.